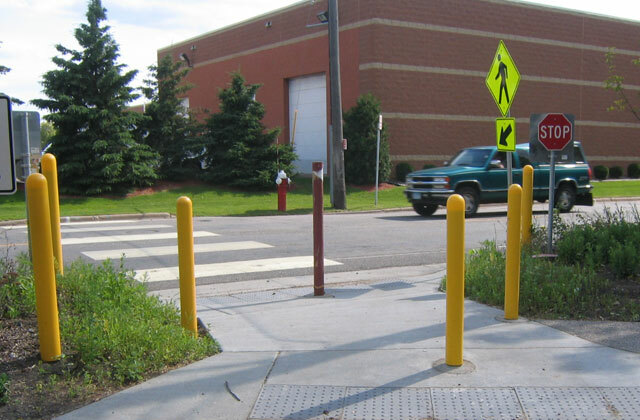 Alliant has designed and constructed pedestrian facility improvement projects for the City of Minneapolis and surrounding communities. Through the design process, we identified many alternatives that are sketched and estimated. Alliant worked with the stakeholders to understand the benefits of various approaches and select the treatments that fit the project goals and budget. Alliant’s responsibilities included project design, evaluation of pedestrian refuge medians, curb extensions, roadway narrowing, traffic circles, sidewalk widening, ADA upgrades, high visibility crosswalks and pedestrian/bicycle signalization devices. We also took part in the community engagement process including open houses, working group tours, advisory committees and neighborhood meetings.